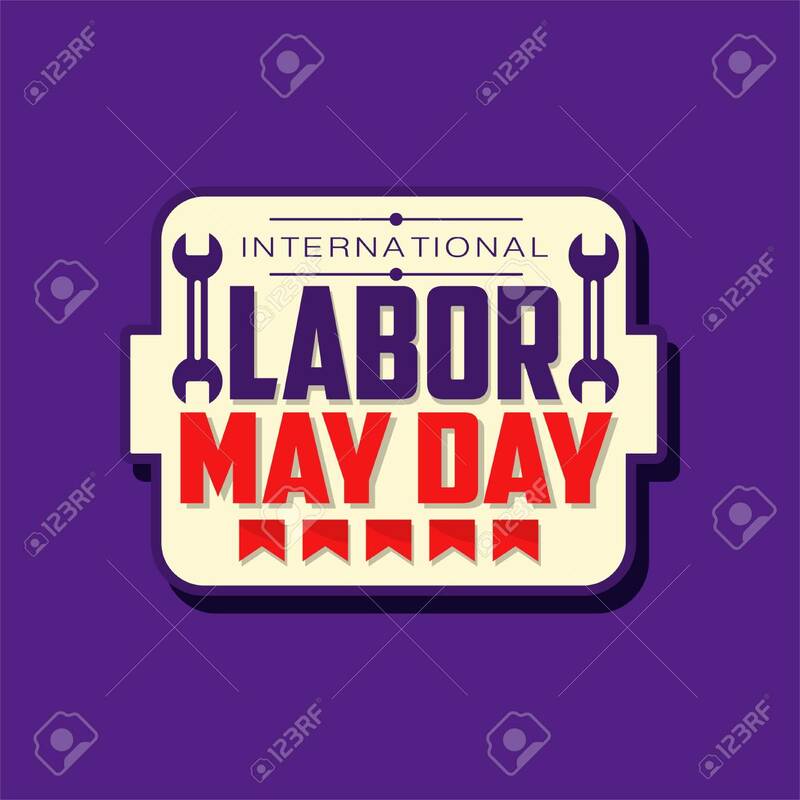 Happy International Labor Day Emblem. May Holiday Celebration Sticker Decorated With Flags And Inch Wrenches. Flat Vector Spring Festive Illustration Lizenzfrei Nutzbare Vektorgrafiken, Clip Arts, Illustrationen. Image 119085023.